BBC NEWS | UK | Mrs? Or is that Ms, Miss? Mrs? Or is that Ms, Miss? Getting married? What do you call yourself now? "Ludicrous", one Tory MEP told the Daily Mail. "Political correctness gone mad", he continued. Another, in the Daily Telegraph, branded it a "waste of taxpayers' money". It is more than 30 years since Ms began to gain ground among a US feminist movement keen to find a title which did not denote a woman's marital status. Decades later - while being a Ms might be seen in Brussels as simple as being, well, a Mr - many elsewhere are less keen to catch on. Being a Ms is, frankly, unheard-of in some quarters. "I don't think it's very helpful," said Charles Kidd, editor of Debretts Peerage and Baronetage - the guide to aristocracy. "I was brought up to address a married woman as Mrs John Smith, for example." Being a Ms isn't always plain sailing - with the most mundane tasks often turned into an exhausting battle of principle. "Marital status? ", "married". "Address Mrs Smith?". "Actually I'm a Ms, Mrs Smith is my mother." Then: "I'm sorry, if you're married you can only be a Mrs. The system won't allow another title." For married TV producer (Ms) Eve Kay - whose recent projects include Channel 4's Jamie's Ministry of Food - it is a familiar tale. For example, the time she tried to fill out a criminal records check for a TV series she was producing involving children. "I was naturally asked for my title. As always, I typed in 'Ms'. At the end of the first page, though, I hit a roadblock. "The program kept asking what my surname at birth was - annoying, since, despite getting married in 1994, I've had the same surname all my life. "In their minds Ms is a title that means you have been divorced." Again, her dealings with insurers have also had their moments. "I found that married women were given a different premium to unmarried women. Yet, because men are Mr and so they couldn't tell their marital status, there was no change." Not everyone is hampered by titles showing their marital status. Bureaucrats, she says, have "lost sight of the fact that we don't want to be denoted by our relationship to men". Having said that she doesn't agree with the European Parliament's ban of Miss and Mrs.
"You can't impose liberation on people; it has to come from understanding. "It would be far better if women understood that being a Mrs or Miss is trivialising their independent status." A title which indicated a woman's relationship to a man was simply "archaic", she said, "a hangover from the past". Her own straw poll of the office on the issue found: "Women with children do get it and don't much want to be seen as married and over-the-hill or a spinster. "They can see that marital status being known at work is by no means helpful. "Whereas young women couldn't see what I was on about, because they hadn't experienced any negative attitudes." Some though, just can't see the point. 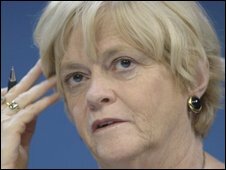 Says Miss Ann Widdecombe MP: "I've grown up with that title and it's a perfectly good title. I can't see the point of Ms and I don't see it as an issue. "It's absolutely ridiculous. These titles have been around for a very long time." And it needn't be confusing: "I'm not confused. It's everyone else who is. "I use Ms as a form of convenience if I don't know what they call themselves. But if they mention in a letter that they are married then I'll use Mrs."
Referring to the European Parliament, she said: "They want to make everything unisex. They don't even want to say 'man-made' But man-made is an all-embracing term," she said. It means women too. For Charles Kidd, of Debrett's: "It's important to get someone's title right. If someone does want to be called Ms then that's fine." 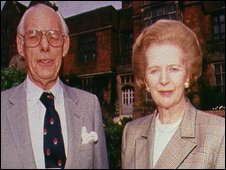 But, he added, he had never been asked to change somebody's title of address from Mrs to Ms.
"I've just never heard of it," he said.